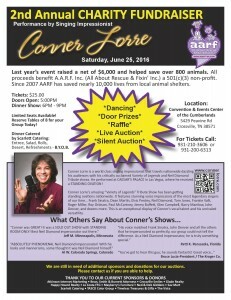 2nd Annual AARF Fundraising Event – A.A.R.F. 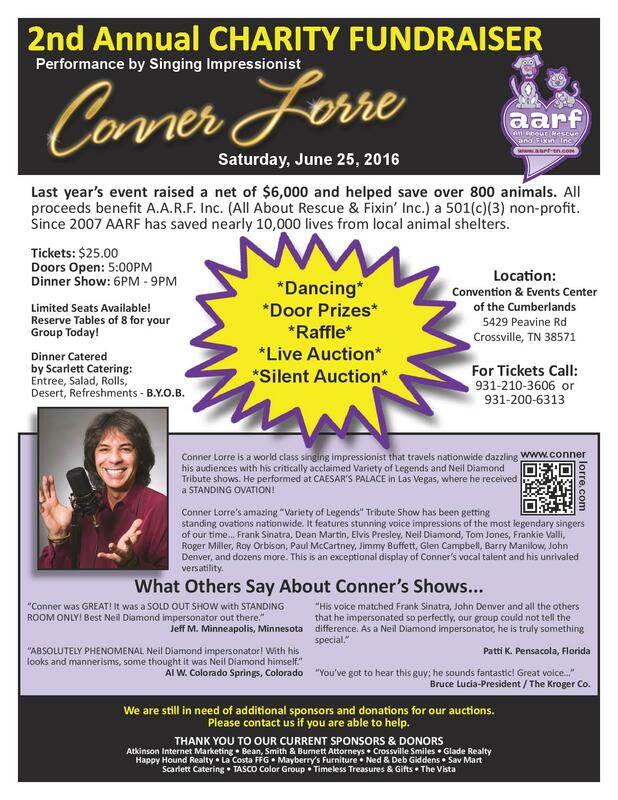 – All About Rescue and Fixin' Inc.
AMAZING entertainment by Conner Lorre! Phenomenal Food Catered by Scarlett Catering!